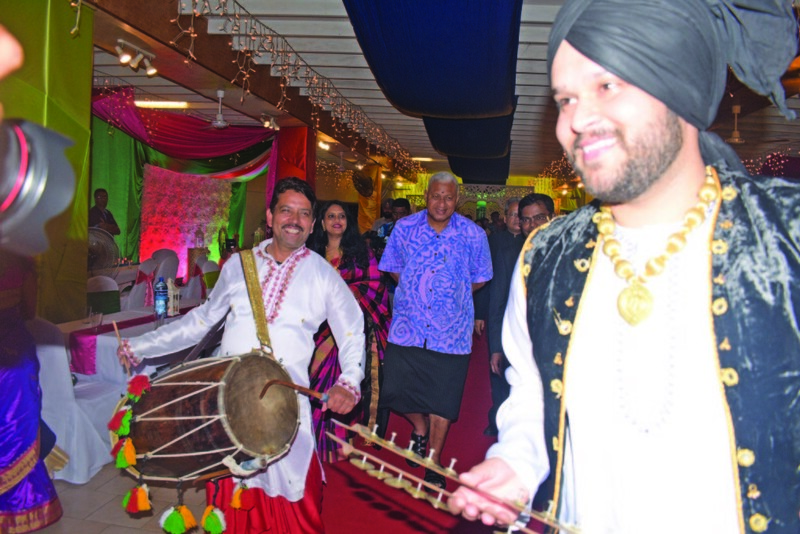 India will continue to support Fiji, says the Indian High Commissioner to Fiji, Vishvas Sapkal. Speaking during the 70th Republic Day of India celebration at the High Commissioner’s residence in Princes Road, Suva, yesterday Mr Sapkal said Fiji and India were excellent partners in the development processes, even though we were geographically distanced by more than 12,000 kilometres. “We have a strong bond,” Mr Sapkal said. Two major events were held to celebrate the day. 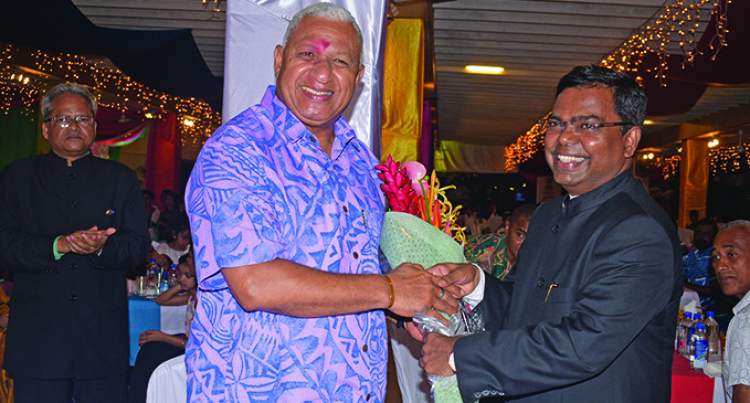 Prime Minister Voreqe Bainimarama attended last night’s reception at the Novotel Suva Lami Bay. “India is supporting Fiji’s Micro and Small Businesses Grant (MSBG) facility. We have provided FJ$4.7 million to the Fijian Small and Medium Enterprises (SME) sector,” he said. “The same has been distributed amongst 4752 Fijian beneficiaries who are contributing significantly in the Fijian economy. We also signed a memorandum of agreement for further contribution of US$2.8 million (FJD$5.8 million). Mr Sapkal said they were grateful to the Government and the people of Fiji. “Hearts of India and Fiji beat synchronously. India also felt the pains of Fijians after the devastation caused by Tropical Cyclone Winston in February 2016,” he said. “India continues to provide its assistance to the Fijian Sugar Industry. Earlier we have given US$55.78 million (FJ$117 million) of LOC’s to the Fiji Sugar Corporation. India contributed US$1 million (FJ$2.09 million) towards Fiji’s Trust Fund for Presidency of COP23. India will be carrying out solar electrification of 200 houses in Fiji. “More than 30 Fijian students avail scholarships for Graduation/Post- Graduation/ Doctorate courses in renowned Indian Universities also. The Assistant Minister for Infrastructure and Transport, Vijay Nath, said the 70th Republic Day of India was an enjoyable occasion for everyone. “I hope the bond between us continues and becomes stronger,” Mr Nath said.